With Black Friday and Cyber Monday over, last minute shoppers are set to fill the malls. Last minute Christmas shopping may cause you to spend more than planned. Selections may be worse. If you are shopping online shipping costs may increase. 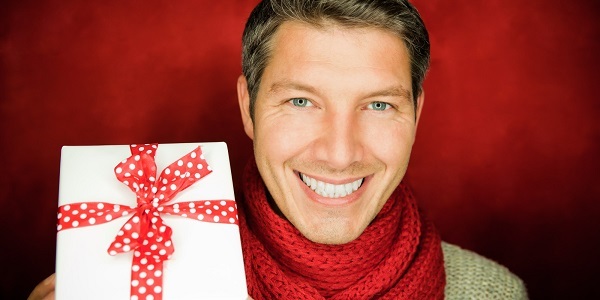 And, with little time to comparison shop, you may end up paying more for a popular gift. For those reasons alone you might want to consider using a credit card to get last minute gifts. Credit cards offer several benefits for last minute holiday shoppers that paying with cash or debit cards cannot offer. Credit cards can earn rewards. Rewards credit cards offer cash back, reward points or miles on everyday purchases. If you are a cardholder who pays their bill in full each month you can benefit by using a rewards cards for shopping. Using cash will not get you extra benefits. For instance, a recent report from Bloomberg News featured Chinese billionaire, Liu Yiqian, who earned 422 Million credit card rewards points using his American Express card to purchase a $36 million antique cup. This is an extreme case of earning points but you get the gist. Just remember to avoid interest by paying the balance in full. Credit cards help protect online shoppers. Any disputes with a merchant can be handled better when using a credit card. When you shop online, you are accepting a merchant’s promise to send you goods in return for your money but that does not always happen. Shoppers using a debit card can find it difficult to dispute charges that are authorized by the debit card issuer even if you never received the merchandise. On the other hand, if using a credit card to shop online, the credit card issuer will immediately issue a temporary credit when something goes wrong. The temporary credit will become permanent once the claim is documented. Credit cards offer purchase protection policies and fraud protection. Most credit cards offer a purchase protection benefit that covers new purchases for theft and damage. That extra protection can save you money if there is damage or something does not work correctly. But it gets better. There is no need to purchase the extended warranty often offered by the retailer. Many credit cards feature an extended warranty policy that adds an additional year to manufacturer’s policies. When it comes to debit cards, shoppers are protected against unauthorized charges but there is a difference. When a fraudulent charge is processed against a debit card, the funds are immediately removed from the cardholder’s checking account. This can wreak havoc on a shopper’s other debits coming out of that checking account, especially if overdraft charges ensue. However with an unauthorized charge to a credit card, the cardholder can contest the charge before any money is paid on the credit card account. Credit cards can offer price protection. Some credit cards like Citi cards offer price protection. Cardholders can receive a refund of the difference in price when a purchased item decreases in price. With Citi cards the customer simply has to register the purchase, at no charge, to get the benefits. Citi will automatically issue a refund when a covered item experiences a price drop within 60 days of purchase. Citi is able to track online prices and issue refunds without customers filing a claim.